Soccer is a high speed sport. It requires quick reflexes, tactical anticipation, agility and the ability to burst into speed at a moment’s notice. Speed training on an individual and team basis is essential for success on the field. The more power your body can output, the faster you can run which means better performance. To increase your strength and power, you need to stress your muscles beyond their maximum capacity in order to build a stronger hip/core complex. 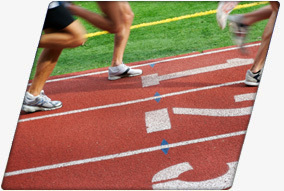 At Body In Motion, our speed training program will train your body to run faster, longer and have quicker reflexes. Taking hits, sprinting, the impeccable ability to stay on your feet and superb hand-eye coordination all make up the basics of football. Without focus in these areas, you will never measure up to your opponents. The more agile and sturdy you are, the better you will be at catching the ball and running it in for a touchdown. Through a combination of weight training, cardio and agility exercises, you can hone the most important physical features needed to become the best. Body in Motion’s football program is designed for making you faster, stronger and quicker than your opponents. 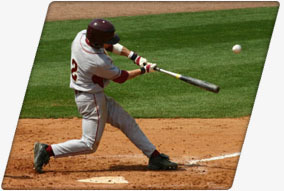 Hitting, throwing, and catching are the key elements separating the pros from the minor leaguers. 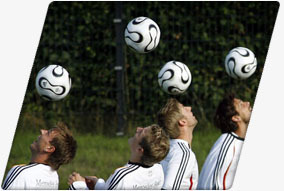 While most professionals do not need much in the way of strength and speed, they do need better hand-eye coordination than their peers. By being able to keep your eye on the ball while making a home run hit or catching a pop fly, you become an invaluable player on any team. If you need amplification of your coordination abilities, Body in Motion has the best program around to get you to where you want to be. 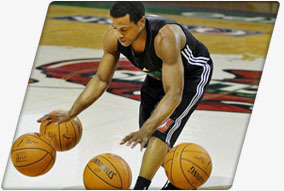 The power to act quickly while agilely handling the ball means the difference between the bench and achieving MVP. On top of faster movement, players need to have the leg power necessary to jump higher than their competitors. This allows you to jump to catch balls as well as slam down dunks. Being able to sprint down the court faster than the other team means you’ll be setting yourself up for easier point scoring while preventing the other team from doing so. With Body in Motion’s specialized basketball program, you’ll train for the speed, accuracy, and the strength you need to reach the next level. Short sprints and balance are essential and significant factors for tennis players. You must cover a large area of the court quickly to compete in every aspect of the game. But it’s not just about speed; it’s about how quickly you can change direction too during a sprint. The player with the strongest arm is going to hit the ball the hardest, but the player with quickness and steady lateral movement has an advantage. 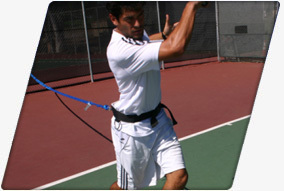 The trainers at Body In MOTION know the significance of a speed training regiment for a tennis player, and you’ll gain speed, reflexes and agility with a Body In MOTION Trainer. 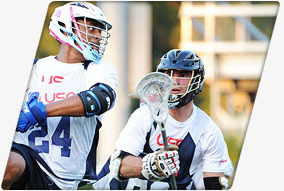 As one of the most physically hard hitting sports played today, lacrosse requires much more than the average sport. Utilizing hand-eye coordination for ball handling, agility to dodge, and straight-up strength to check, the best players have complete mastery of their bodies. By building up each of these core skills, you gain the power to better withstand hits, while simultaneously passing or catching the ball. Even a small focus in agility and coordination means a far easier time cradling the ball while in motion. Aim to level up each of these proficiencies; Body in Motion’s program is the answer to becoming the best player. 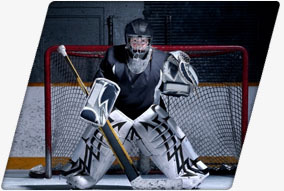 Speed and bursts of strength are essential qualities for hockey players. A deciding factor for speed on the ice and quickness is body balance. Body In Motion‘s speed training program incorporates training that helps improve your fast-twitch response muscles, which allows for stronger and more frequent bursts of physical motion. Our personal trainers also employ techniques that improve your cardiovascular stamina, weight training to make you stronger, and exercises that will target the hip/core complex to make you a quicker, faster hockey player. Speed training is essential for Track & Cross Country competition. Increase your speed through vigorous, incline training techniques for your forward, lateral and backward strides using our high performance treadmill. Acceleration and endurance is increased with Body In Motion‘s speed training program. The ability to maintain your speed overtime, long after your body wants to give up, is vital to these sports so you overtake your competitors time and time again. Professionals of ice skating make the sport look far easier than it actually is. Only by mastering agility, balance, and strength can you hope to achieve the grace seen in the Olympics. With strong legs, you can achieve phenomenal jumps, and supreme balance allows you to continually gain the momentum you need while flying across the rink. This isn’t achieved just through skating, however. Off-rink work is necessary to supplement your training. 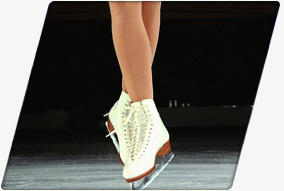 Body in Motion’s ice skating program is geared for just that, preparing your body to better handle the rigors of skating.